I like to be able to change the screen orientations when I use iPhone or iPad. Depending on what you are doing, sometimes it is better using portrait orientation, sometimes it is better to use horizontal screen. 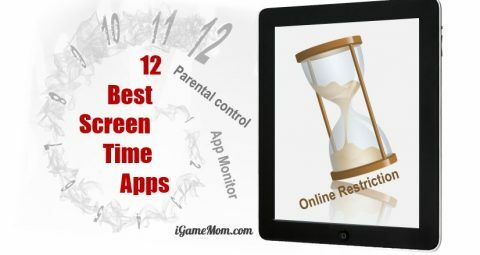 However, if a child is using the device for a extented time period, say watching a movie or a video, especially a young child, he/she may not be able to keep the device still, making the orientation changing all the time, and then complain or ask for help. 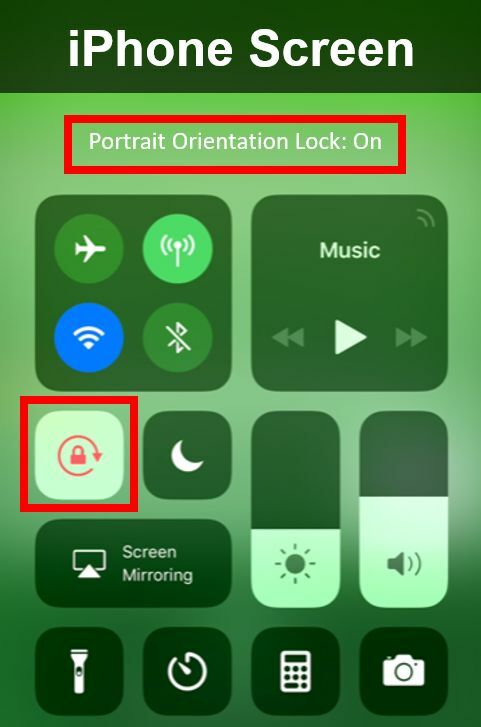 In this case, it is better to lock the screen orientation, so it won’t change no matter how to put the device, even you accidentally put the screen upside down. 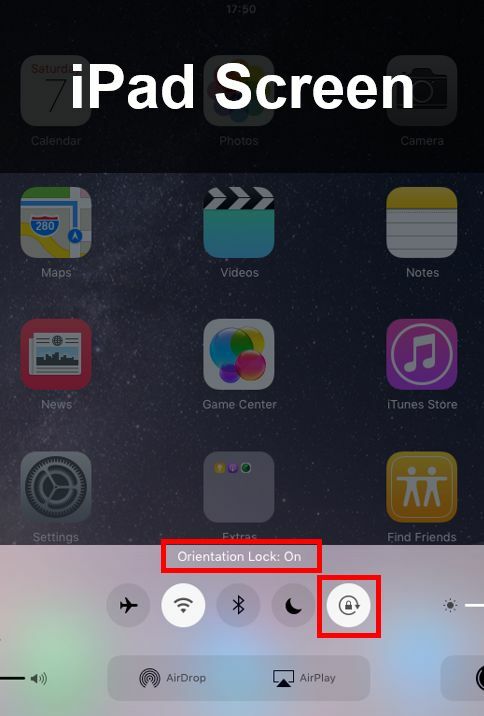 But how to lock the iPhone and iPad screen orientation? It is very easy. Here is a step-by-step guide. Step 1. Unlock your device, if it is locked. Step 2. 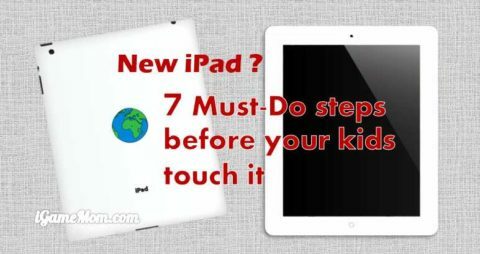 Rotate iPhone or iPad into the orientation position you want. Step 3. Using one finger, slide on the screen from the bottom up. You have to start from the very bottom. If you are using iPhone, it seems you need slide in the middle of the bottom line, right around the home button. Step 4. Look at the swiped up screen. You should see several buttons on the screen, looking like the pictures below. The screens are different between iPhone and iPad, but the buttons on the screen should be the same. Step 5. Tap on the button with a lock on it. When the screen is locked, the button turns red. Step 6. 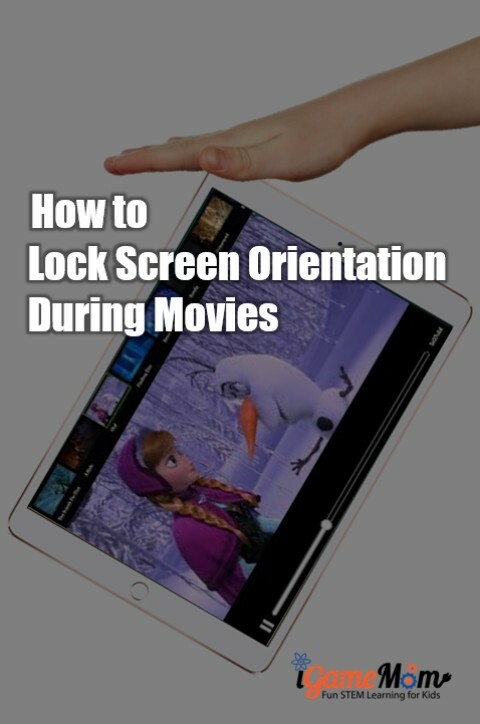 Now you have locked the screen orientation of your iPad or iPhone. Step 7. Slide the screen down to go back to the app you are using. To unlock the screen, you repeat the same steps and tap the same button. When unlocked, the button’s color changes back to what it was. You can also tell if it is locked or unlocked from the little note at the top of the screen. It is an easy process and a handy feature. 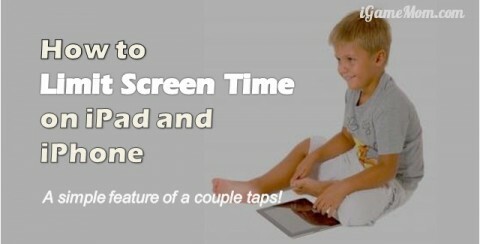 Now when you hand your phone to kids to watch a movie, you don’t have to worry about constant change of screen orientation anymore. 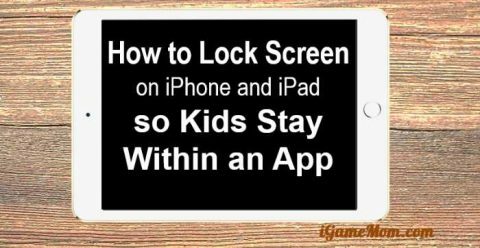 If you need lock kids out of other apps completely, please follow the instruction on How to Lock iPad iPhone Screen so Kids Stay within an App.